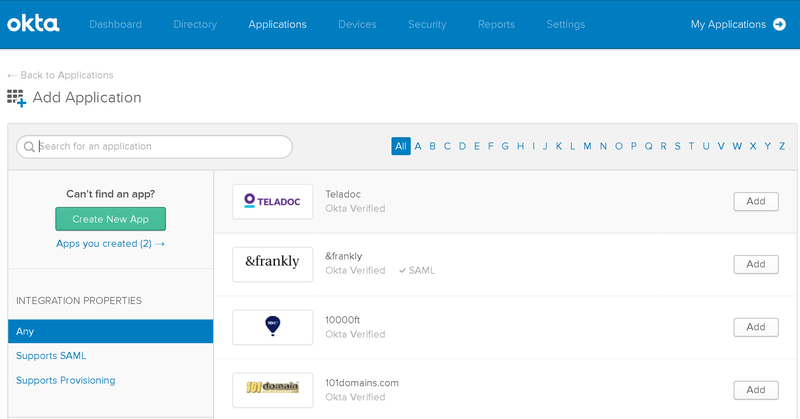 Bizagi supports integration with Identity and Access Management systems (i.e, Identity Managers or Identity Providers) which are SAML 2.0 compliant, such as Okta. 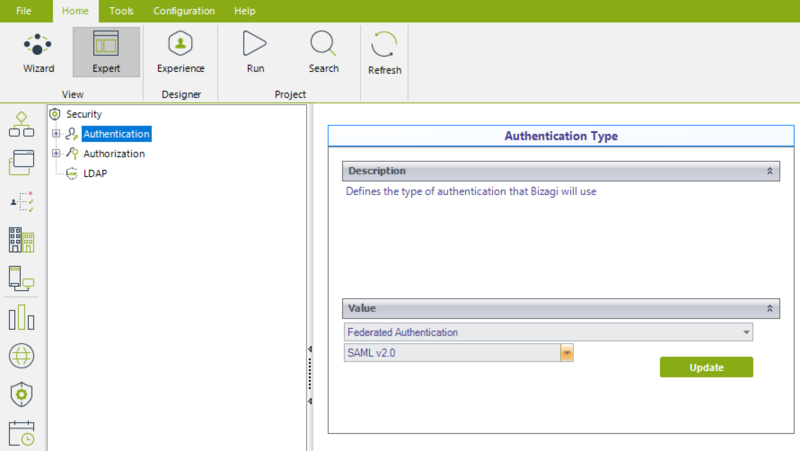 This section is a step-by-step guide to the configuration needed, both in Okta and in Bizagi, to have an integrated authentication in Bizagi against Okta. 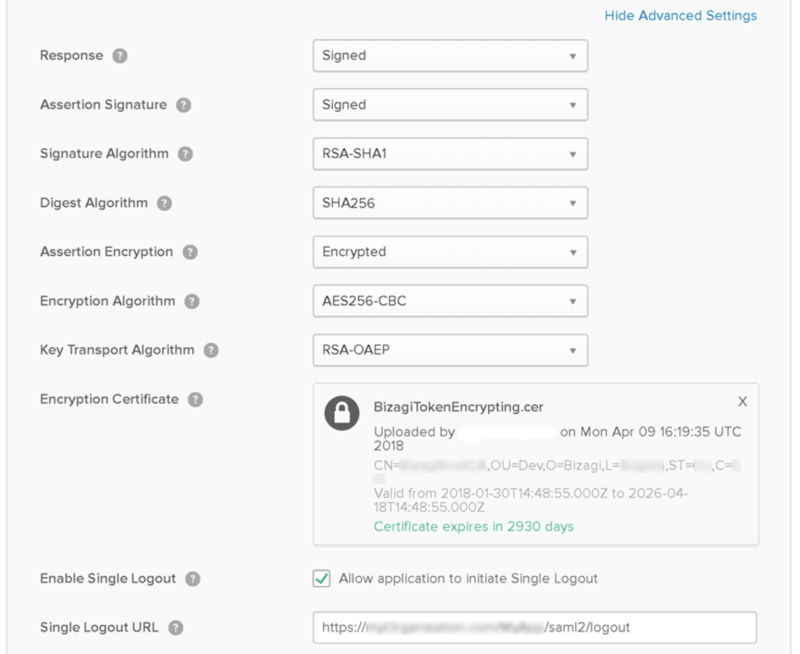 For SAML 2.0, both your Identity Provider and your Bizagi project need to support HTTPS. 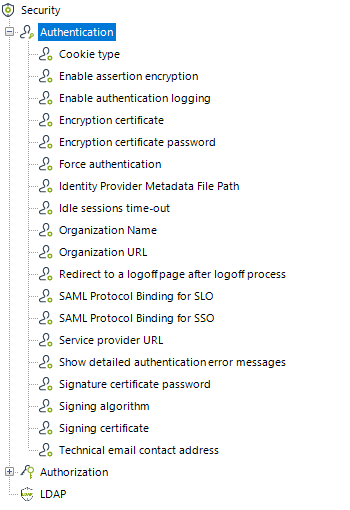 You need to be in charge of managing your installed certificates (tracking expiration dates and responding to any other maintenance requirements such as changes in your Identity Provider's endpoints). When integrating any Identity Manager you must synchronize user accounts that are authorized to access Bizagi's Work portal (at least one, for testing and verification purposes). The examples of SAML-based authentication provided below use email as the unique user identifier. 2. 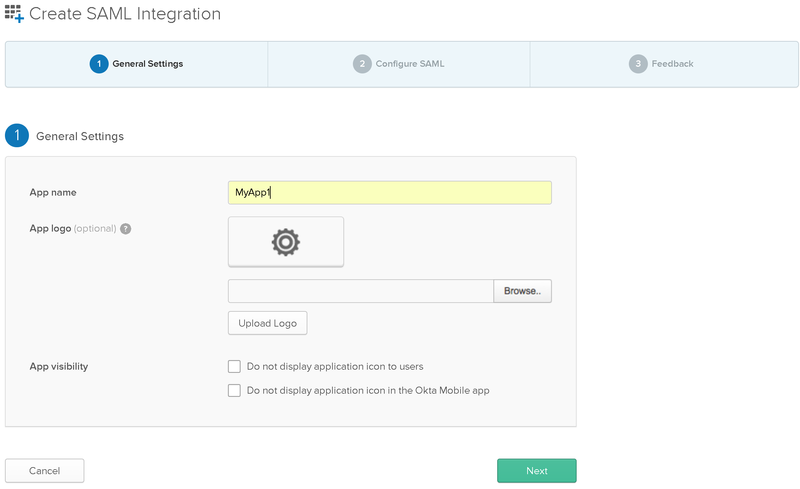 Configure Bizagi as Service Provider in Okta. 1.2. In the Security module and click the Authentication option found under the Security item. 1.3. Configure the additional parameters as described below. Click Update for each one that you modify. Parameter values are case-sensitive. Make sure you provide them accurately. 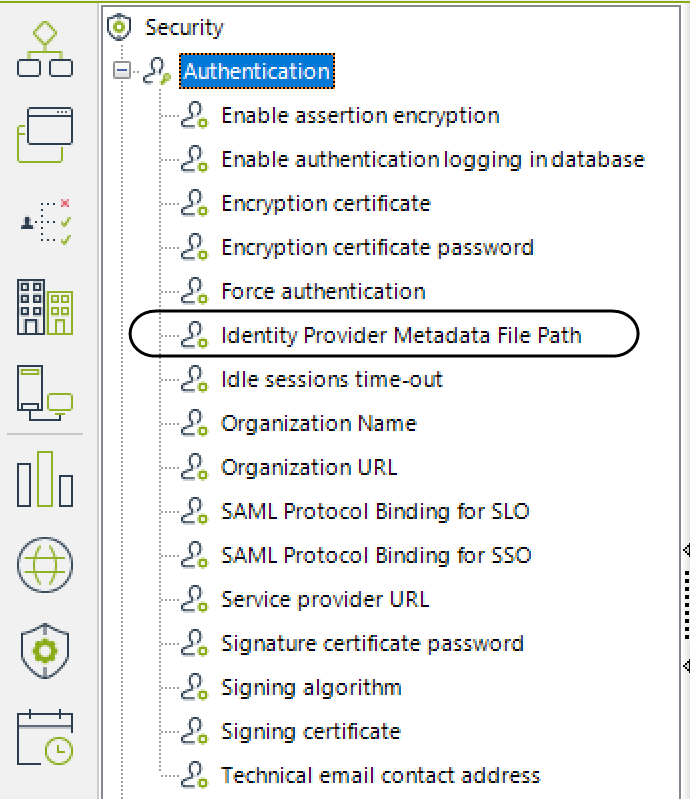 •Identity Provider Metadata File Path:Provide the path to the Okta metadata file. This location is typically an URL. 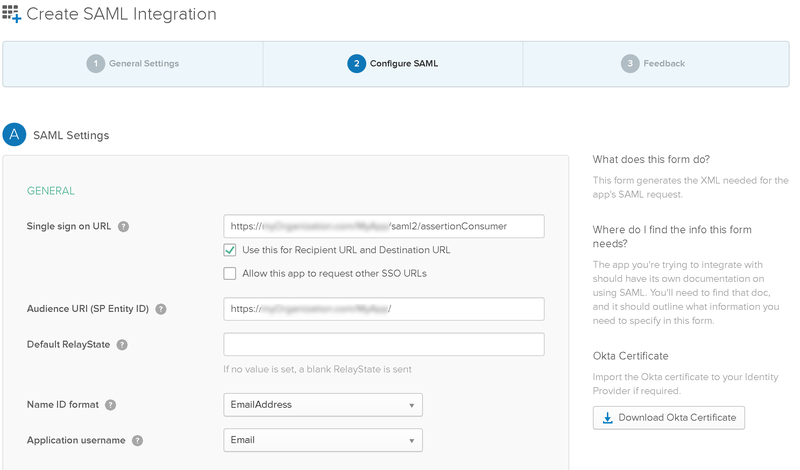 However, configuration for this setting with Okta is not done in a single step. Okta will not issue its metadata file location before Bizagi is configured. 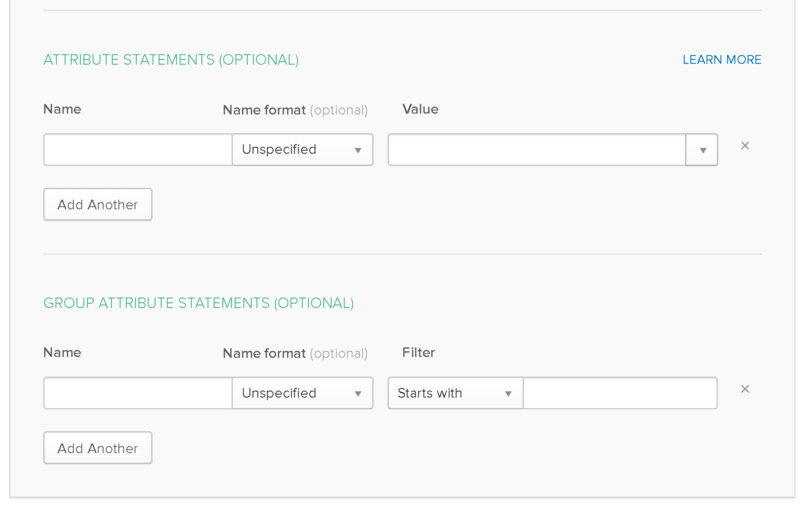 As with Bizagi, you generate the metadata file of these settings to use later in Okta. For now, leave this setting blank in Bizagi, and generate Bizagi's metadata file. Once you can use Bizagi's metadata file to move on with the configuration in Okta, you can obtain Okta's metadata URL and come back to this option to provide the URL for this setting. Once you are done, review that your changes have been applied. Authentication changes may not be reflected immediately; in which case, you may need to reset the Bizagi services. Any change in the authentication type, or any of its settings, are not reflected until the cache of the application server is explicitly refreshed. 1.5. Browse for the location of the metadata file that Bizagi generates based on the previous configuration. To configure Okta more easy in the next steps, Bizagi downloads the metadata file into a local path so you can use it as input in Okta. 2.1. Log in with admin rights to your Okta portal. 2.2. Locate the Applications menu and from it to select Applications. 2.3. Click Create New App. •Sign on method: Click SAML 2.0. 2.5. 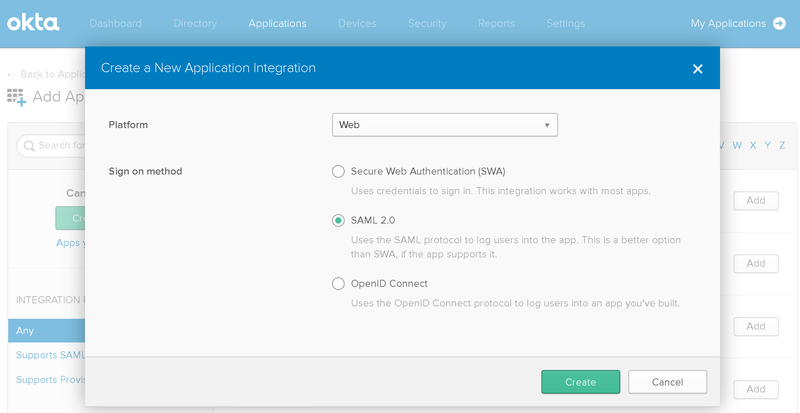 Go to the Create SAML integration section. •App name: Provide unique name for your app. •App logo: Select a representative for your app. •Single Sign on URL: Provide the URL of your Bizagi Work portal followed by the /saml2/assertionConsumer suffix. •Use this for Recipient URL and Destination URL: Check this option. •Audience URI (SP Entity ID): Provide the URL of the Bizagi Work portal just configured in Bizagi Studio (or the Bizagi Management Console). •Name ID format: Select E-mailAddress. •Signature Algorithm: Select RSA-SHA1 or RSA-SHA256, according to the one configured in Bizagi. •Key Transport Algorithm: Select RSA-1.5. •Encryption Certificate: Browse for the public certificate for encryption purposes and upload it. •Enable Single Logout: Select Allow application to initiate Single Logout. •Single Logout URL: Provide the URL of the Bizagi Work portal followed by the /saml2/logout suffix. 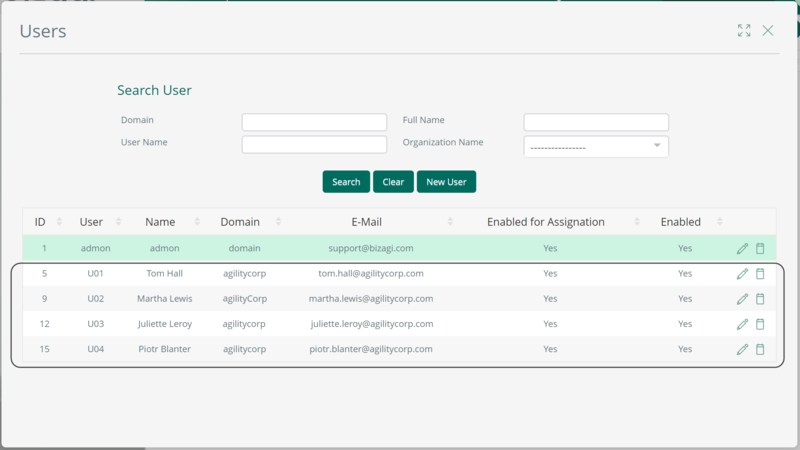 •SP Issuer: Enter the URL of the Bizagi Work portal just as it was configured in Bizagi Studio (or the Bizagi Management Console). •Signature Certificate: Browse for the security certificate for signing purposes and upload it. •Authentication context class: Select PasswordProtectedTransport. •Honor force authentication: Select Yes. 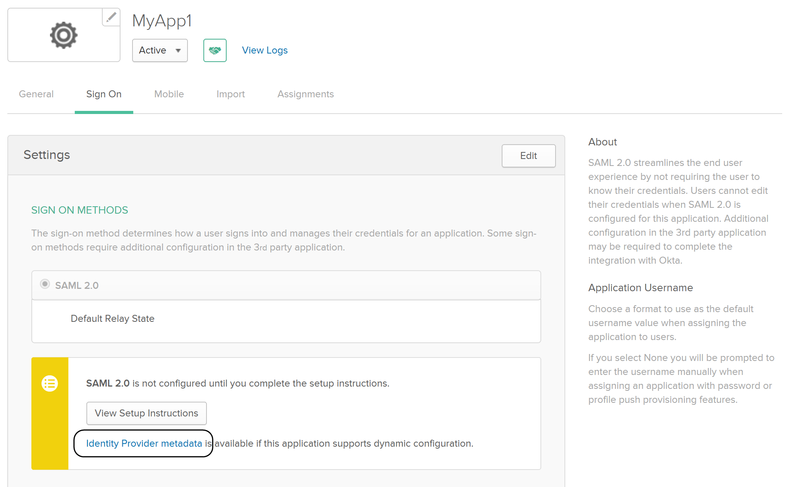 •SAML Issuer ID: Leave the default value as generated by Okta. 2.9. Leave the defaults and empty fields for other options and click Next. •Are you a customer or partner? 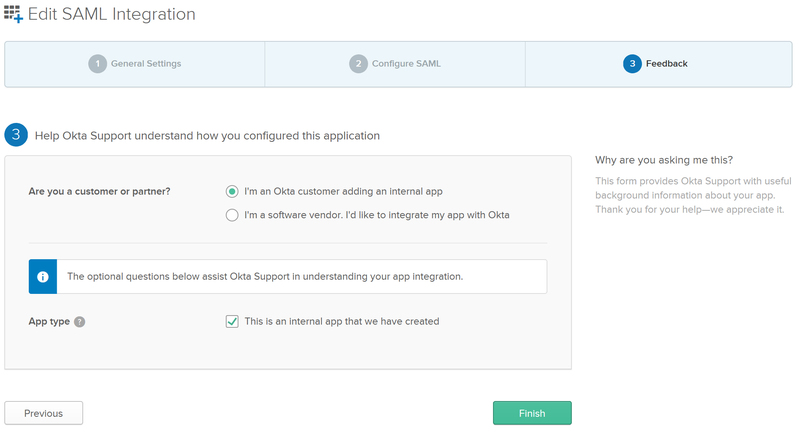 : Select I'm an Okta customer adding an internal app. •App type: Check the This is an internal app that we have created checkbox. 2.11. Finally, once the app is created, browse to its details and into the Sign On tab. 2.12. Select the hyperlink labeled as Identity Provider metadata. You need to copy this URL so that, in Bizagi, you can set the Identity Provider Metadata File Path setting to point to it.